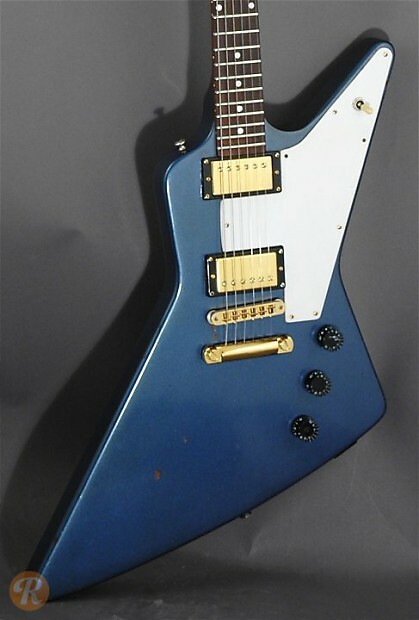 After its short but noteworthy premier in 1958, the Gibson Explorer went out of production until the mid-'70s. Unlike the original Explorer which used a Korina body, later Explorers used Mahogany. Other changes from the original design include altered control knobs and tuning machines. Unique to this Year: First full year of Explorer production after its reintroduction in 1975. 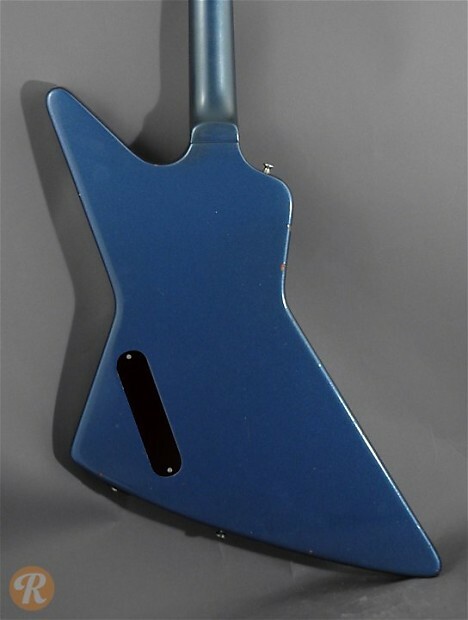 Finish Specification: Blue was a non-standard or custom color for the Explorer.